Butwal, The Province No. 5 is convening its historic first provincial assembly here from today. 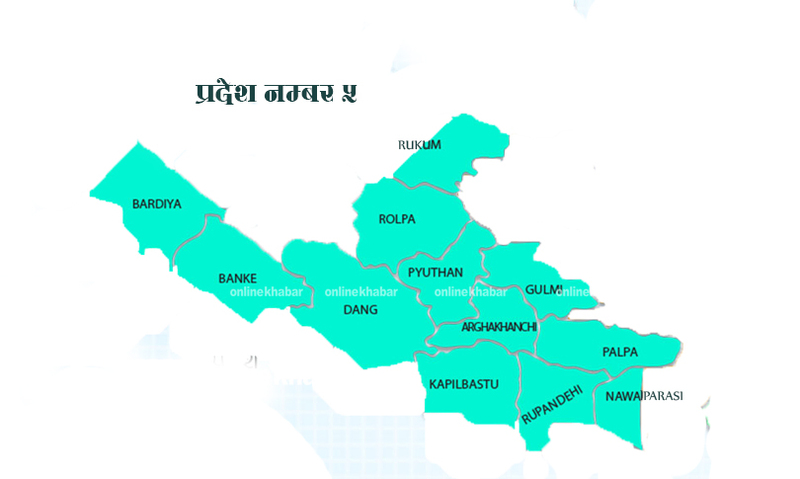 Province Chief Umakanta Jha has called the provincial assembly for 1 pm today. The assembly venue, Chamber of Commerce meeting hall, has been decorated and all preparations including the infrastructures as well as human resources are in place for the historic session, said Surendra Prasad Aryal, the chief of the facilitation team deputed by the Federal Parliament. According to the agenda of the provincial assembly made available to the media, at the outset of the meeting a letter send by Province Chief calling the meeting will be read out. The election to the Speaker of the provincial assembly is to take place on February 11 and the registration of candidacy for the purpose is scheduled for February 10. The senior-most member of the provincial assembly Baldev Sharma Pokharel will fulfill the responsibility of the Speaker and conduct the meetings until the election of the Speaker. Provincial assembly members will be given 10 minutes to make their statements in the first meeting, on the basis of party representation. Security in Butwal and surrounding areas has been beefed up in view of the increase in activities for the historic Province Assembly meeting with the arrival of the provincial assembly members here. The hotel entrepreneurs in Butwal have offered 20 per cent discount on the food and accommodation charges keeping in view the Province Assembly's maiden session. The locals have also seen with keen interest the first meeting of the Province Assembly after the country adopted federalism.